Fall is finally here! After a long, hot summer we are so excited for cooler temperatures, falling leaves and cozy layers. 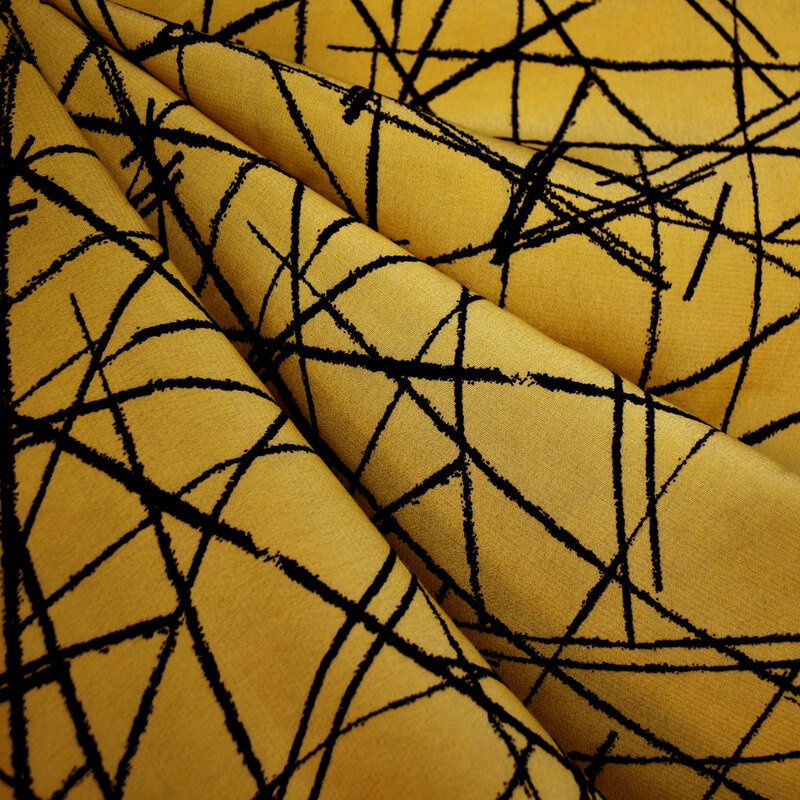 The arrival of the new season also means it is finally time to reveal our latest fabric collection! 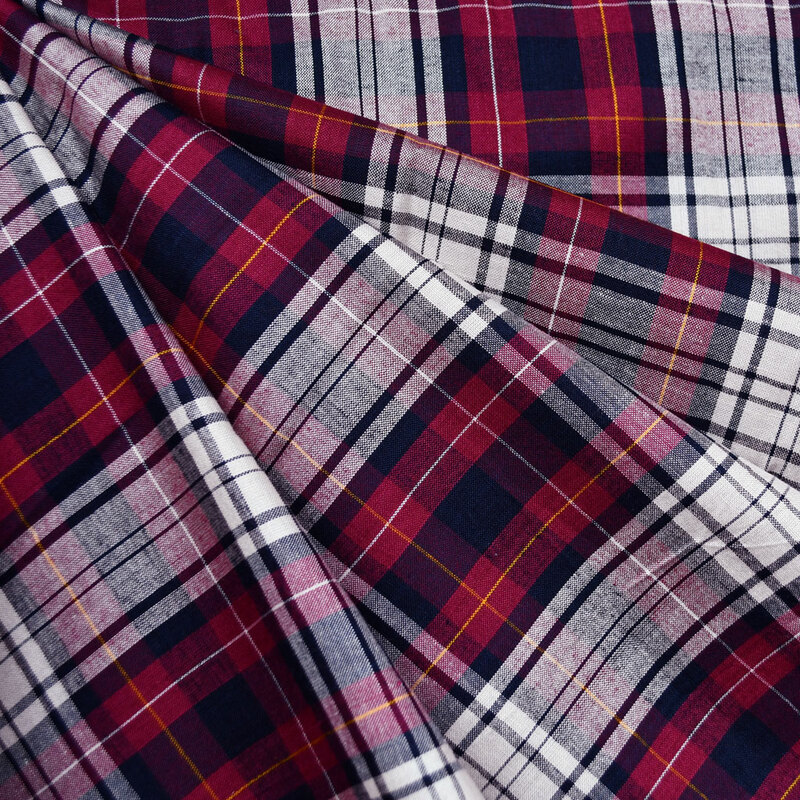 After months of planning, we are excited to reveal over 150 new fabrics ready for your fall sewing. Find loads of new cozy sweater knits, unique bottom weights and other fall favorites you are sure to love! 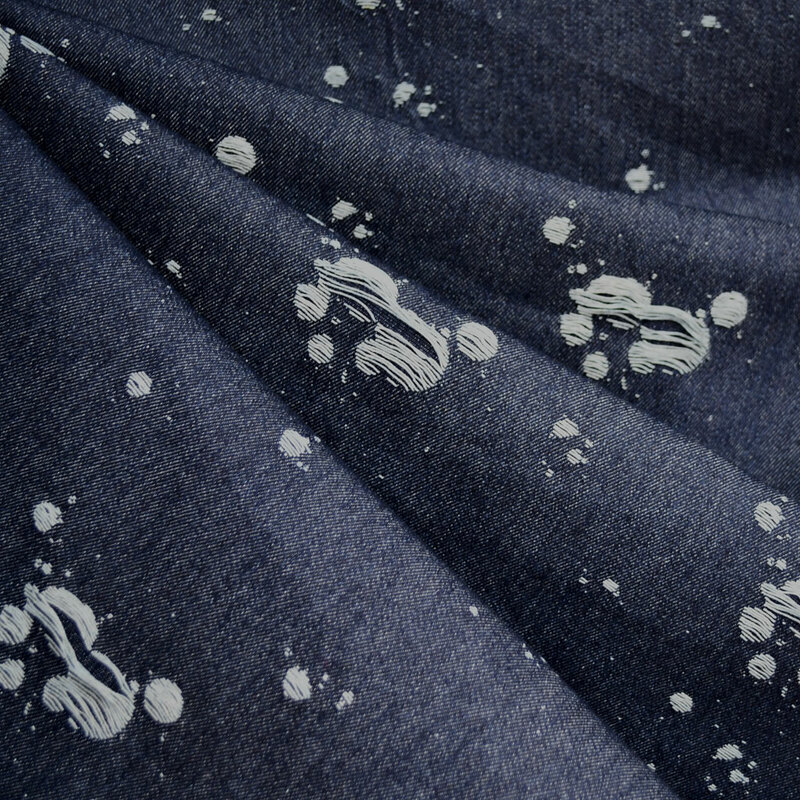 To see lots of these new fabrics in action, check out Inside the Hem’s biannual swatch video. Lindsey shares her first impressions of each fabric along with some ideas how to use each one. Be sure to have a pen and paper handy to make a note of your favorites! 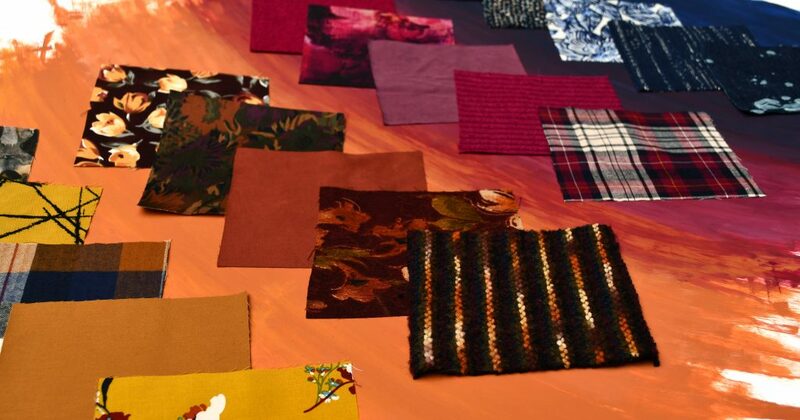 In preparation for the fall collection, we scoured our fabric sources selecting fabrics from all over to put together a seasonal collection of designer fabrics. 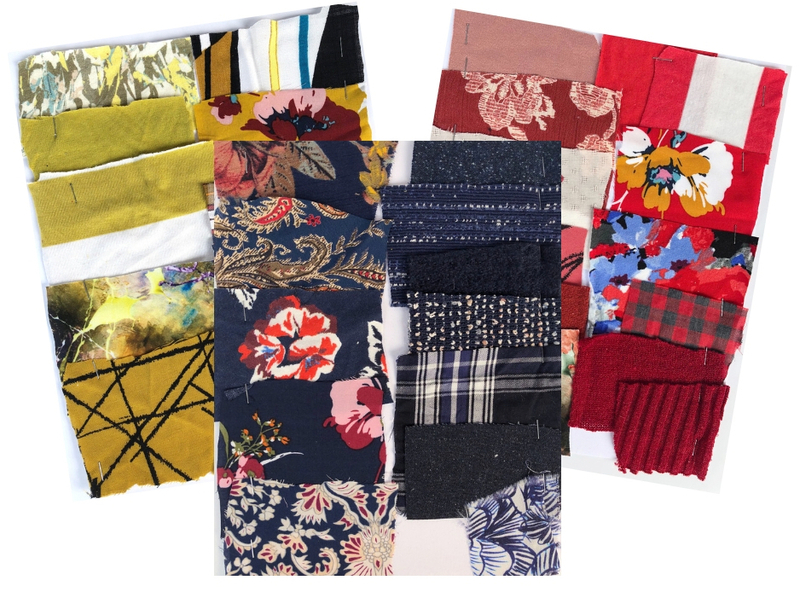 Most of our fabrics are “dead-stock” or designer remnants, so we never know what treasures we will find or how they will work with the colors and trends we are seeing on the runway this season. In the end, we love seeing how it all comes together and to share it with all of you! Fall is all about rich, warm colors, textures and layers and this season we are loving all the shades of rust, wine and navy. 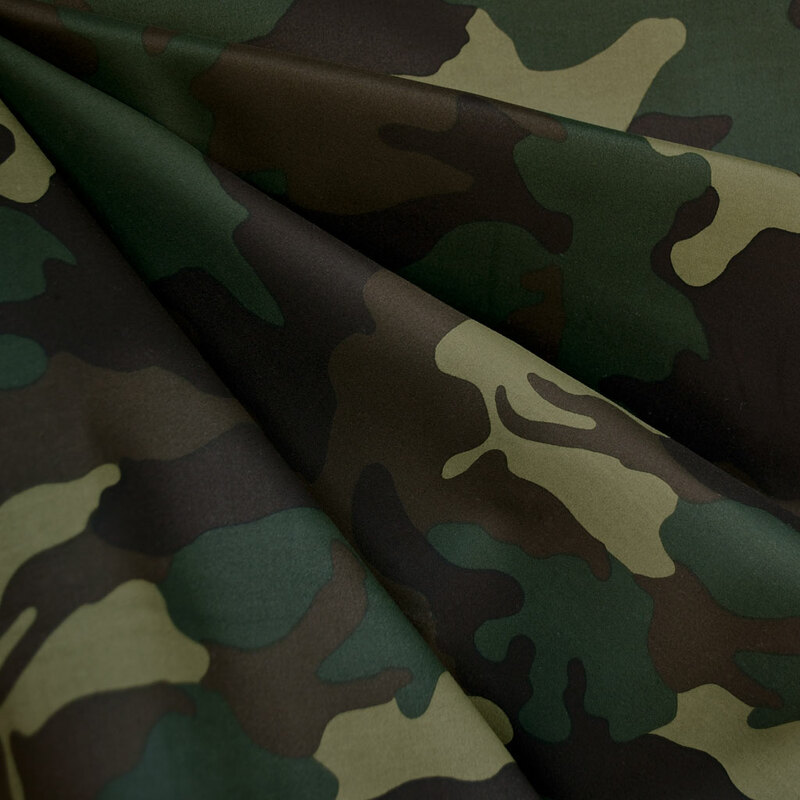 A few of the other stand out trends include camouflage, animal prints, plaids and the color of the season, mustard. You can find these highlighted as Gone Wild, Plaids a Plenty, and Gold Rush under our Latest Trends. Fall outfits also continue to be centered on all different styles of pants. To feature all the the amazing bottom weights we have added, take a look our group called Smarty Pants where you can find some of our favorite indie pants patterns paired with suitable fabrics and hardware. Looking for fall sewing inspiration? We’ve got you covered! All season long we love collecting garment ideas from all of our favorite ready-to-wear stores and brands. 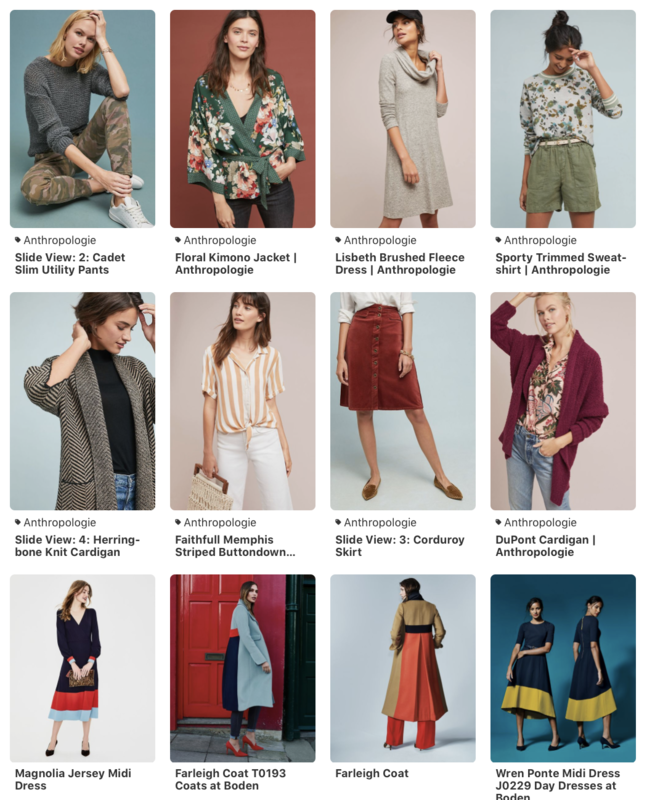 Follow along with us on Pinterest to see what trends we are finding, unique looks we can’t wait to recreate and lots more! 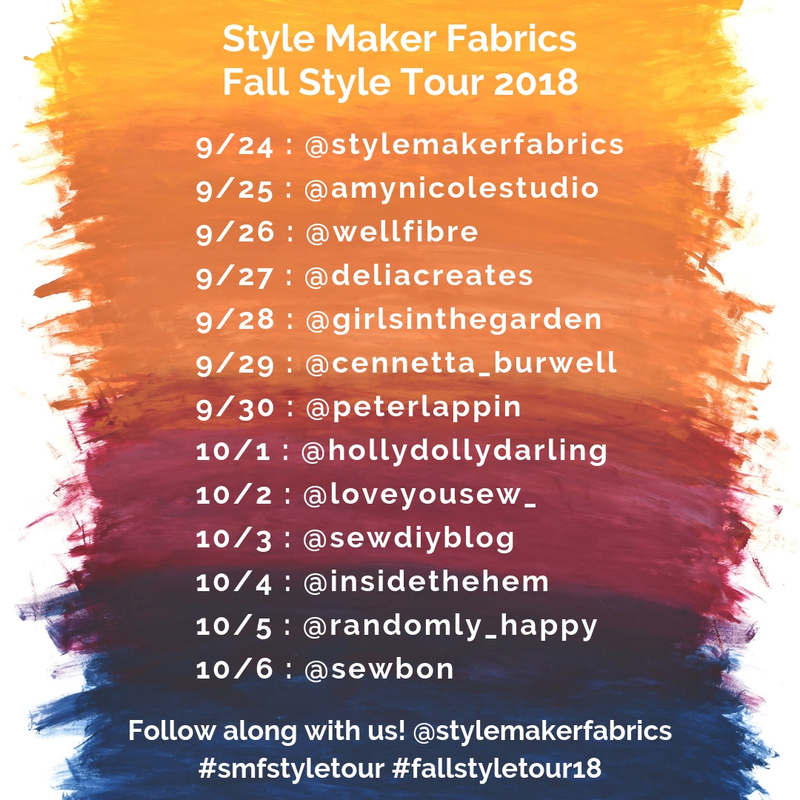 To really kick start your fall sewing, our Fall Style Tour kicks off Monday, September 24th right here on the Style Maker Fabrics blog! We invited twelve amazing sewists to create their own looks using fabrics from the fall collection. After lots of tough decisions, they picked some amazing fabrics and we can’t wait to see what they created. Watch for a new look to be revealed each day! Find the full tour schedule below, along with links to each stop. You can also follow along on Instagram and Facebook to get links to each look as they are posted. In celebration of all of the exciting things we have going on to kick off the season we are offering a special discount for all orders placed now thru October 8th, 2018. Enjoy $5 flat rate shipping on all US orders! Any order, any size ships for just $5! For those living abroad, we have discounted all of our International rates so that you don’t miss out on all of the fun. No coupon code required. Discount ends Monday, October 8th at 11:59pm PT. The swatch review was great. I felt like I was at a fashion show, scribbling down the numbers of the fabrics I want (way too many numbers!). It’s really helpful to see all the fabrics, hear a description and then see all the ways the swatches can be combined. Great job!